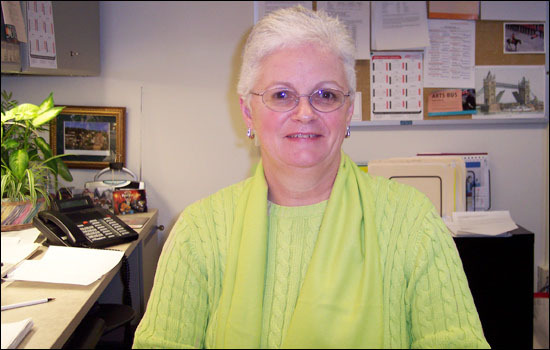 Katy Wichlac, CPP, is Wesleyan’s payroll manager and works in Financial Services. Q: Ive heard of a CPA but not a CPP. What does that stand for? A: A Certified Payroll Professional. Q: Are you a math person? What skills do you need to work in payroll and what is your educational background? A: I graduated from Sacred Heart Academy in Hamden, Connecticut. I have a bachelor of arts degree in American Studies and British History from Cardinal Cushing College in Brookline, Massachusetts I am currently taking classes through the Graduate Liberal Studies Program here at Wesleyan. Q: What courses have you taken? A: I have taken Irish Music and Dance and International Organization and Evolution of Government: The Rise of the Modern Nation State. Q: When did you become manager of payroll services? A: In May 2000, I was new to Wesleyan, but I have been a payroll manager for over 25 years. Q: You must be a real payroll pro. How would you describe a typical day working in payroll? A: Are you kidding? A typical day in payroll? That would be something to see. On a regular day I oversee the payroll staff – Evelyn Harris and Gladys Fountain. We process payroll for all the students and employees of the university. We get a lot of phone calls and e-mails every day. I spend a lot of time on the computer and not as much as I would like getting out to meet with employees. We see many of the students, but I am sorry to say I know most of the employees via phone or e-mail only. Q: What do you like most about your job as a payroll manager? A: Every day brings something new, something different. Payroll is never dull or predictable! We all try to have a laugh every day – it helps. Q: Outside of work, what are your hobbies or interests? A: I love to travel. I especially love London, and I serve on the board of the New England Payroll Conference. This year I will chair the conference for the third time. I also have spent a lot of years as member of a community theater group, the Windsor Jesters. Q: Are you a performer? Or do you work behind the scenes? A: I have two children. My son is Stephen and my daughter is Maria. My first grandchild was born on December 12th. Her name is Hollace Katherine Grace Grove, named after her two grandmothers, and she weighed 9 pounds, 2 ounces. Allynn Wilkinson, digitization specialist, works on scanning and piecing together a map of Middletown inside the Information Technology Services digitization lab. 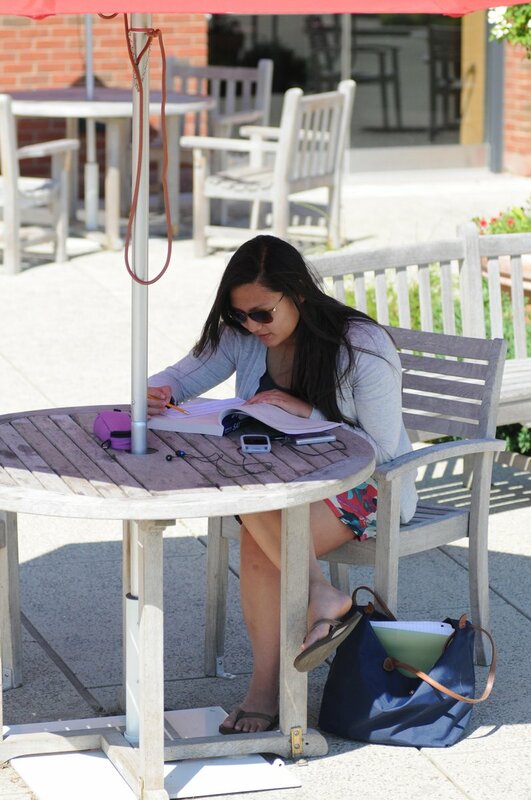 Allynn Wilkinson is leading Wesleyan into a digital world. 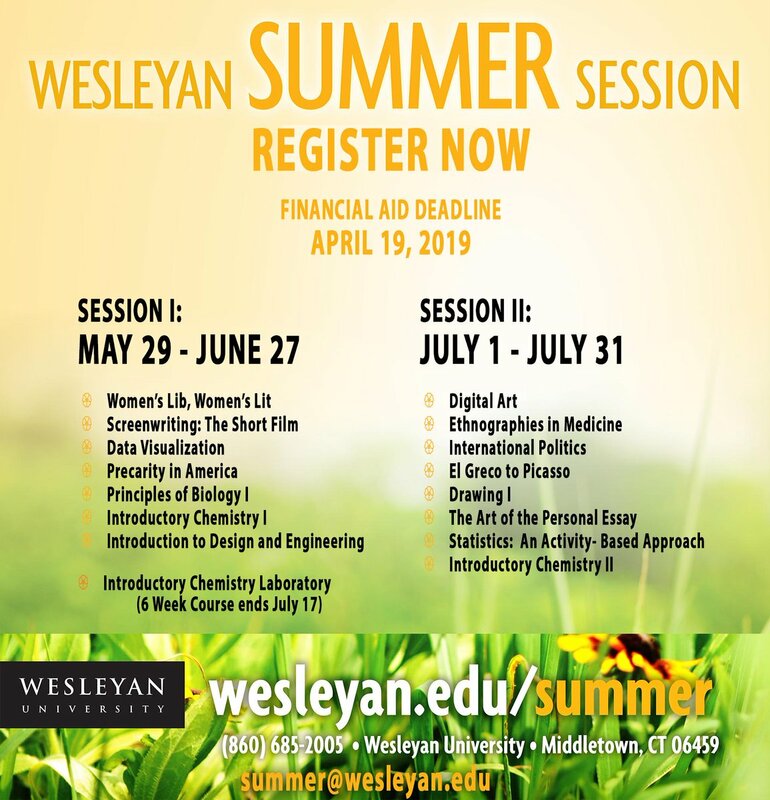 As Wesleyans digitization specialist, Wilkinson support curricular instruction by converting and creating multimedia instructional materials. And campus wide, technology seems to be contagious. 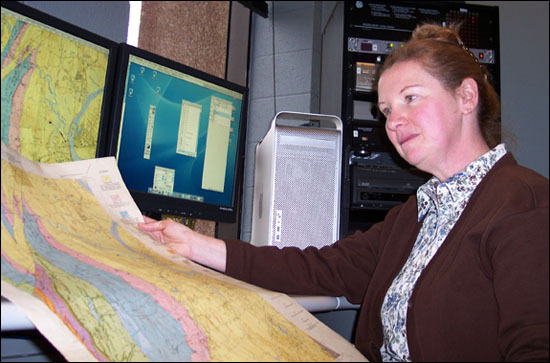 Wilkinson works in her own digitization lab at Information Technology Services. There, she uses five computers to convert one medium into another. Music from a cassette tape can be transferred to a digital audio tape; video from a High 8 tape can be burned onto DVDs, slides from an art portfolio can be scanned and put on Web sites; and data from floppy disks can be burned to CDs. Adobe PhotoShop is Wilkinsons most-used program for digital image manipulation. 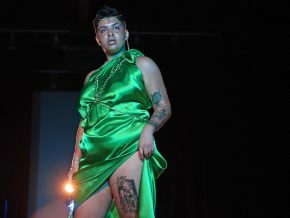 She also uses Final Cut, DVD Studio Pro, Adobe Audition and iMovie. I set them up, but the computers do most of the work, she says. Although she devotes much of her day to technical processes such as scanning slides, posters or transferring data, she loves to tackle creative projects that come by her desk. Wilkinson opens her latest project, a digital photography slide show, for Jerry Wensinger, a professor emeritus for the German Studies Department. Wensinger photographed scenes in Munich, Germany, in 1948 and shot the same scenes in 2004. Wilkinson morphed the 1948 black and white images with the recent color photographs to show the before and after. Wensinger will present the slide show to German classes or public talks. This is one of my favorite projects, Wilkinson says, watching the presentation. Each computer is set up to do different tasks. One has a flatbed scanner, another prints directly onto CDs and DVDs. Another computer is setup to make mini-movies called videostreams, which are becoming a popular teaching tool campus wide. Anthropology Professor Betsy Traube uses Digitization Services to transform episodes of The Sopranos TV show into streaming videos for television course; Molecular Biology and Biochemistry Associate Professor Michael McAlear records his lectures onto VHS tapes, which Wilkinson transfers to videostreams for students to view online. Wilkinson said professors and students alike appreciate the convenience of on-demand video. It saves class time when students can watch video assignments on their own time and they can review the material as often as they want, she says. One of Wilkinsons up and coming projects is to turn videos of a brain dissection into streaming videos for Psychology Professor Harry Sinnamons neuroanatomy class. He formerly used VHS tapes. Wilkinson, who holds a bachelors degree in Victorian studies, and masters degrees in pop culture and library science, acquired much of the technology on her own time. She learned to stream videos by recording soap opera clips, and time-lapse movies of flowers blooming. I have all these machines here. If someone brings me something Ive never seen, Ill figure it out, she says. Shes had a few cases where professors have brought her outdated hard drives, audio recorders and little silver things, but shes always found a way to open, extract and re-record the material on more up-to-date formats. Were always up for learning new things, she says. When not in the lab, shes attending intellectual property committee meetings and works as a media digitations specialist for Leaning Objects, which are graphical simulations, data sets or learning modules that can replace text or lectures on a subject. Wilkinson, 44, celebrated her one-year anniversary at Wesleyan in December 2004. Prior to Wesleyan, worked part-time for Brown University, also as a digitization specialist. Wilkinson, who lives in Pawcatuck with her pet parrot and cat said once shes home, she resorts to less techy hobbies, such as decorating her house and gardening. I have a lot of computers at home, but I try hard not to turn them on, she said. Public Safety Senior Officer William Heckstall has worked for Wesleyan more than 20 years. In his distinctive black, gray and red uniform, a shimmering silver badge and a belt equipped with a jingling set of keys and nightstick, Public Safety Senior Officer William Heckstall appears daunting from afar. But once eye-contact is made with this 6-foot-3, broad-shouldered officer, his sweet, signature smile overwhelms his face. I like to greet everyone with a friendly smile, and let them know Im a nice guy and can be trusted, officer Hex says, modeling his beaming grin. 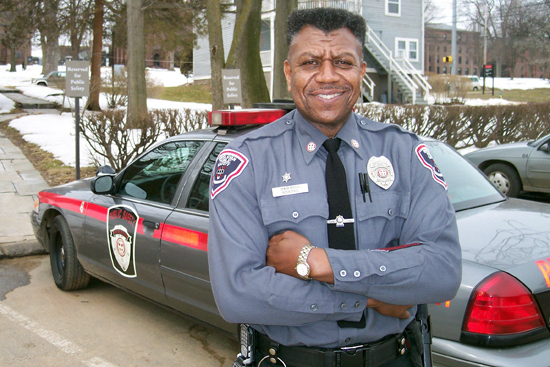 For 23 years, Officer Heckstall has patrolled Wesleyans campus. Originally hired by Wesleyan as a guard, Heckstall was promoted to a senior officer in 1993. When he started, there were seven patrol people; the department now has 17 officers and three patrol people working day and night shifts. He spends his days with one mission in mind  to promote a safe environment for Wesleyans students, staff and faculty. When hes not responding to reports, he is checking buildings on campus, doing parking enforcement and responding to calls for service such as medical escorts. While on duty, Heckstall takes turns with other officers, patrolling sections of campus by car. He routinely stops to talk walk-through the dorms and other buildings, looking for any hazards and making sure there are no broken locks. Near the end of his shift Heckstall reports back to his office at 208 High Street for his least-favorite part of the job  writing reports. I much rather be out with public than in here, writing reports, but thats a big part of the job, too, he says. Heckstall, an avid weight-lifter and long-distance runner, looks forward to campus-patrol duty in April. In 1995, Public Safety initiated bike patrol, which commences after the snow melts and continues through late fall. Public Safety personnel on the bicycle are able to navigate through campus with greater ease than officers in patrol vehicles and faster than personnel on foot. The bike patrol is just one way Public Safety strives to make Wesleyan a safer environment. Throughout Heckstalls double-decade career, the department has set up emergency police/fire boxes and blue light phones, a campus shuttle service and an electronic card access system. Residence halls have been further secured with locking exterior doors. Public Safety also offers tips on its website regarding identity theft, bicycle security, jogging security, sexual assault awareness, and nuisance/harassing telephone calls. In addition, all first-year students receive a campus safety brochure. Maryann Wiggin, director of Public Safety says the officers can always rely on Officer Heckstall for special assignments. When not in uniform, Heckstall said he can be found at the gym or spending time with his twins. His son, Elijah, attends Trinity College; his daughter, Ebony, goes to Syracuse University. He also likes to watch sports, especially basketball. The 1979 graduate of North Carolinas Campbell University played Division 1 hoops. 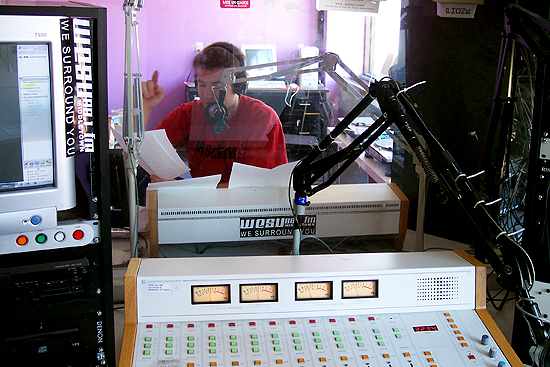 Being a dad of college-age kids helps him relate even better with Wesleyans student body. Lingzhen Wang, assistant professor of Asian languages and literatures stands outside Fisk Hall, where she teaches a class on 20th century Chinese literature and film. Lingzhen Wang joined the Asian Languages and Literatures Department as an assistant professor of Asian languages and literatures in January 2005. She teaches China Modern: An Introduction to the Literature and Film of Twentieth Century China and Intermediate Chinese at Wesleyan. 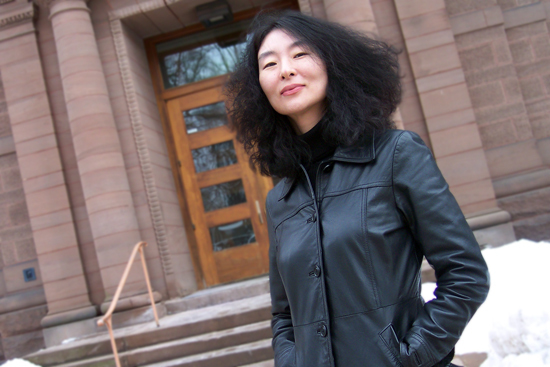 Wang completed her undergraduate work at Nanjing University and earned her Ph.D at Cornell University. 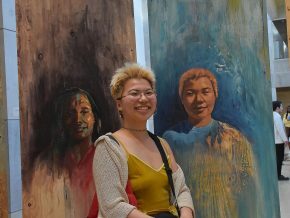 Her masters thesis is a comparative study of a well-known Chinese writer, Shen Congwen, and Thomas Hardy, and her dissertation is on modern Chinese womens autobiographical writing. Wangs main areas of interest are modern Chinese literature, gender studies, feminist and literary theories, and modern Japanese literature. She is currently researching Chinese female film directors. She was drawn to Wesleyan in part because of its top-notch faculty. The Mansfield Freeman Center for East Asian Studies and proximity to her husbands workplace were also big attractions. Wesleyan University made a record-breaking contribution to this years Middlesex United Way annual community campaign. Frank Kuan, director of community relations and volunteer community campaign chair, reported that Wesleyan raised $140,018 for the local United Way chapter, exceeding the campaign goal of $135,000. This is the most Wesleyan has ever raised for Middlesex United Way in the 60-plus years the university has been involved in the campaign. Middlesex United Way supports critical human care services and county-wide projects that improve community conditions. Wesleyan was among the top three contributors in the Middlesex United Way Campaign. Kevin Wilhelm, Middlesex United Way executive director said Wesleyan consistently ranks in the top 4 percent of all universities nationally with respect to average gift and percent. This year, Wesleyan represents 6.5 percent of Middlesex United Way’s total of $2,150,000. Although it was a successful year in terms of dollars raised, the level of participation dropped, a development that has Kuan concerned. 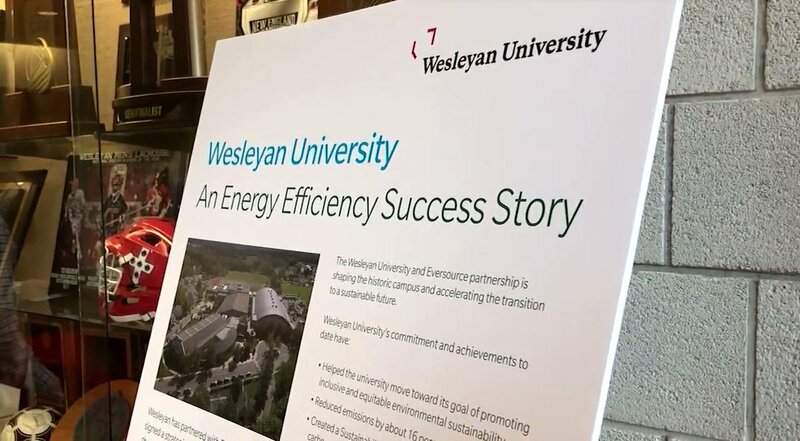 Last year Wesleyan had 62 percent of its employees participate; this year that number fell to 59 percent. 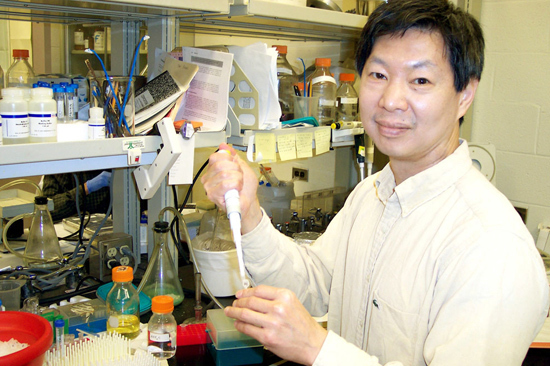 Every dollar really counts and it all adds up for what we want to do locally, Kuan says. Despite the drop, seven departments did have 100 percent participation: the Center for Humanities, Classical Studies; Dean of the College Office; Financial Aid; Philosophy; Project to Increase Mastery of Mathematics and Science (PIMMS) and the Registrars Office. The Leadership Circle, comprising 44 individuals and six vendors who pledged at least $1,000 a year, accounted for $71,050.86 or 50.7 percent of the total amount raised. John Biddiscombe, director of athletics, chair of the department of physical education, Middlesex United Way Executive Committee 2002-04, and past president of the Middlesex United Way Board of Directors said the United Way campaign has emerged over the past ten years to the point where the employee contributions ranks first in Middlesex County. In Middlesex County, United Way provides ongoing funding for 35 programs and services including the Amazing Grace Food Pantry, Girl Scouts Connecticut Trail Council Inc., Boy Scouts Connecticut River Council, Inc., Literacy Volunteers of Greater Middletown, Middlesex Hospital Family Advocacy Program, Oddfellows Playhouse Youth Theater and YMCA of Northern Middlesex County. A substance abuse prevention initiative aimed at area teens. A program designed to reduce and treat behavioral problems among children from birth to 5-years-old. An affordable housing project, due to launch this spring, will build upon local grassroots housing efforts to increase the affordable housing stock. In 2003, United Way touched 26,809 people, or 62 percent of Middletowns population. Overall, it reached 53,750 people or 34 percent of all people in Middlesex County. 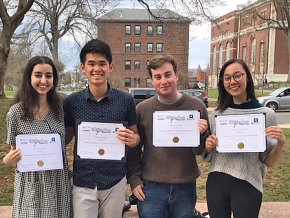 Middlesex United Way recognized Wesleyans contributions with three awards at its recent annual meeting: a Silver Award for Participation, a Special Award for Excellence in Leadership Giving, and an Employee Honor Roll award for Five Consecutive Years of Campaign Growth. Joyce Jacobsen, professor of economics, and Mike Zebarth, director of PIMMS, will serve as co-chairs for the 2005-06 campaign. For more information go to www.middlesexunitedway.org. 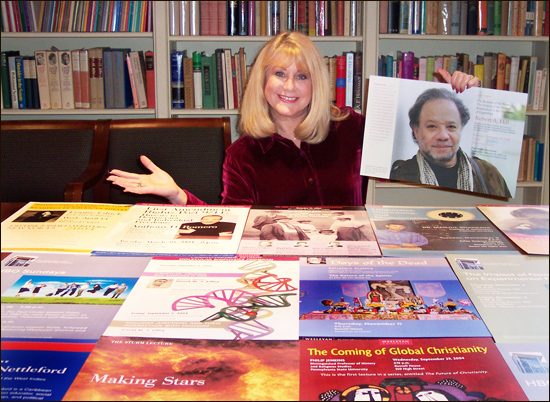 Laurie Zolty, assistant to the coordinator of University Lectures, poses with lecture advertisements inside the Horgan House. Q: When did you join the staff at Wesleyan and why? A: I joined the staff in the fall of 2000 looking for a career change. A very good friend was on staff here and spoke so highly about working at Wesleyan. I was searching for almost a year, looking for a position where each day would be different  working a diverse schedule, meeting new people, taking on new tasks and challenges. This newly created position with University Lectures seemed like the perfect fit. A: My last job wasn’t very exciting. I was the office manager for a local orthodontist. But the one before that was great. I handled all human resources, payroll and office management for The Tournament Players Club at River Highlands, which meant my employer was the PGA Tour. That was cool. Q: How do you and Jean Shaw, the University Lectures coordinator, work together? A: Jean Shaw and I have worked wonderfully well as a two-person team. We handle the logistics for a number of endowed lectures, from their inceptions to their completion. We also assist faculty when they are applying for and receiving funding from the Edward W. Snowdon Fund. These Snowdon supported lectures are more numerous and we do everything from advising to organizing the lecture events and setting up small dinners to working with the graphic designer on advertising and posters. We also assist or manage individual lecture budgets and attend the events we help sponsor. A: Id say the diversity of skills used and the exposure and opportunity of working with and getting to know such a large number of faculty and staff. Q: I understand working with lectures isn’t the only thing you do at Wesleyan. A: The major part of my job is working with Lectures, but one-quarter of my time is connected with Reunion and Commencement. This part of my job is to coordinate and streamline the payment process for all R and C invoices and help to track all expenses. In addition, I have taken on assisting the Marshal of the Faculty for commencement. These come at the perfect time, when logistical work on lectures quiets down in the spring and early summer, so it rounds out my work schedule in a nice way. Q: Do you attend lectures your department put on? A: Yes, we attend every lecture, activity and performance, whether it be an endowed lecture, such as the Hugo L. Black or Raymond E. Baldwin events where we are totally involved, or be it a lecture, event or residency organized by an academic department, including all events funded through the Snowdon grant process. 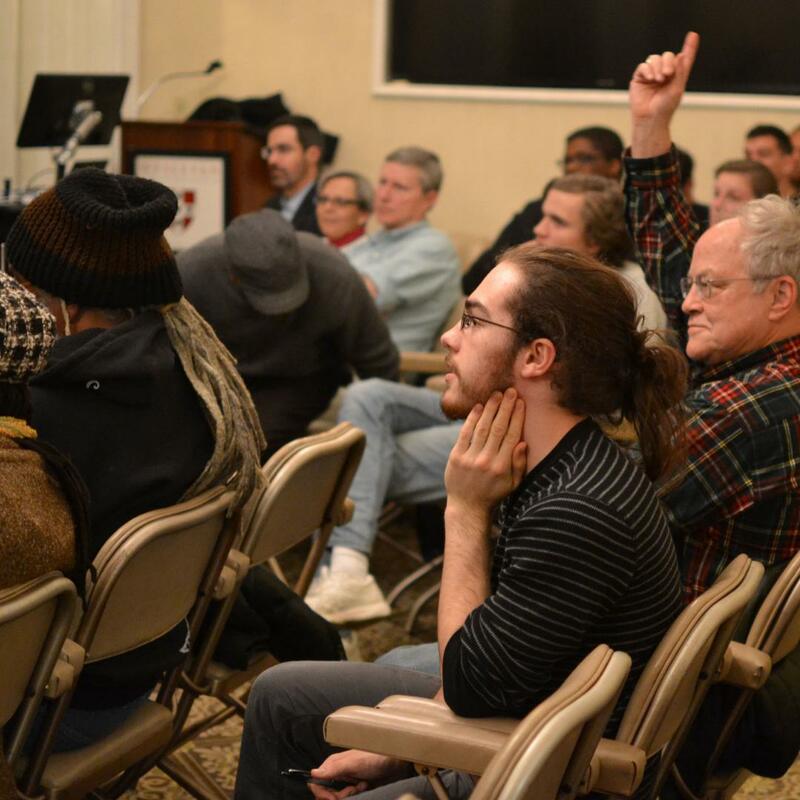 A: A great example of this is the current series of 19 events spanning three semesters that the Center for Film Studies has organized in conjunction with different academic departments. We also work closely with faculty, like Anne Greene, to help support her major Writing Program lectures each year, the Annie Sonnenblick Lecture and the Joan Jakobson evening. Q: What have been some of your favorite presenters or lectures? A: Its hard to say. Ive had the opportunity to meet some amazing people over the past four years. 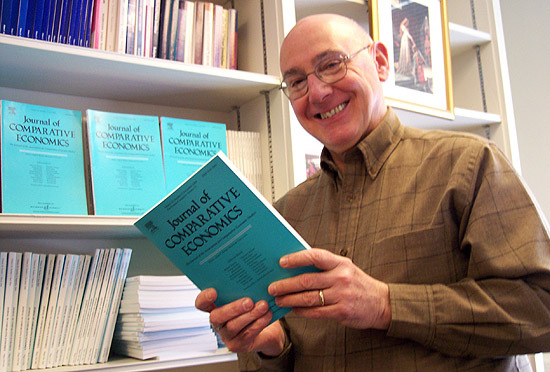 Our first Snowdon Fellow was Steven J. Gould who was remarkable. I actually had the chance to accompany him on a private tour of Dinosaur State Park in Rocky Hill. It was amazing. But Id have to say my favorite lecture each year is the Sturm lecture. Kathryn Johnston, of the Astronomy Department, brings in terrific speakers and for me, the topics are fascinating as each lecture explores an area of astronomy that is far beyond our world but so relevant to our lives on earth. Q: Who generally presents the lectures? Professors? Visitors? Are there certain topics they address? A: The lectures that we support and are involved with are always given by visitors. They are often professors from other universities, but can be dignitaries, judges, authors, dancers, college presidents, movie directors, journalists or clergymen. For Snowdon funding, a faculty member writes a proposal with a specific speaker, or speakers, and topic in mind. Snowdon supported events are required to have participation from multiple departments, so the topics can range as wide as your imagination will take it. Q: What would I find you doing on a weekend? A: You can find me most Sunday mornings sitting in my three-season room with a cup of coffee and the newspaper. Over the past few years, my husband, Allen and I have been busy with a series of redecorating projects at home and this seems to be a never-ending process. One room triggers another. I enjoy the decorating process, searching for just the right fabric or accessory. My degree was in textiles and marketing so I love the hunt for a bargain and have a feel for what works and what doesnt. Q: That sounds like a fun, but inexhaustible project. Do you have other hobbies? A: I like to cook and I sew and I used to play a bit of tennis. I really enjoy going to the movies and eating late dinners afterwards, so Allen and I will do one or both on most weekends. Our closest friends include people I grew up with and even though they live in New Jersey or New York, we often meet up for an afternoon or dinner. Every few months we try and get into New York. I just love the theater and the energy of the city. Q: Where did you meet your husband? Do you have any kids, and if so, what do they do for a living? A: I met Allen when we were both at UConn. Weve been married for 32 years and have two sons. Allen has spent his career in labor and industrial relations with Pratt and Whitney, which afforded me the opportunity to stay at home with our kids while they were growing up. Stuart, our oldest, has been married for three years, works as a financial advisor and lives just outside the city. Our daughter-in-law, Meredith, is the general manager of the Jean Cocteau Repertory Company. Andrew, our younger son, lives and works in New York. He is an interactive Web designer, loves to travel and is focusing his time and energies promoting Seven Ender, a rock band that he fronts. 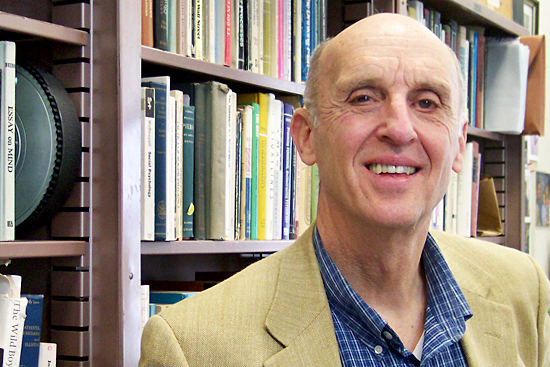 Psychology Professor Karl Scheibe will retire from Wesleyan this spring after a 42-year career here. Fresh out of the Ph.D. program at the University of California at Berkeley, 26-year-old Karl Scheibe accepted a faculty position at Wesleyan University. Apparently, he liked his first job. Scheibe, a social psychologist known for his classes emphasizing relationships between psychology and theater, will take his final bow when he retires after the spring semester. Throughout his career, hes taught 20 different psychology courses, some of which are self-invented. In 1980, he introduced an experimental course titled The Dramaturgical Approach to Psychology, which proved to be popular with both psychology and theater majors. The course explores the use of the language of theater in the illumination of psychological questions, exploring issues such as politics in theater, audience effects, role-playing as a teaching and therapeutic technique, the actors identity problems and general theory of the mask. Today, the class is so well-known, Scheibe interviews students before allowing them to enroll in the size-restricted class. Psychology major Elizabeth Thaler 05, says discovering the intersection of drama and psychology is intuitive to many students. The class, she says, helps students experience a real-life illustration of everything the psychology department teaches. Thaler says Scheibe puts class into the students hands, but stands by as a guide, providing agency and support. Scheibe applied for a position at Wesleyan based on its yeasty qualities, he said. 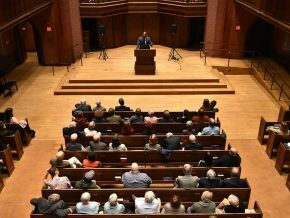 Wesleyan was a traditional New England small college, but it had this known quality of change  this avant garde  on-the-edge element that other colleges around here lacked, he says. A faculty position at Wesleyan also came with a daunting reputation. Scheibe said he and other junior faculty colleagues were bathing in tenure anxiety from the very beginning. When he was hired in 1963, he was one of only six psychology professors in the department; now there are 14 on tenure and tenure track. Wesleyans 11th president, Victor L. Butterfield, was in charge of the all-male university. Fraternities were quite conspicuous on campus, and Scheibe found himself in the curious position between teaching and being one of the boys. Scheibe was promoted to associate professor in 1967, was awarded tenure in 1968, and was promoted to professor in 1973. Like most professors at the time, Schiebe came to Wesleyan with a broad array of abilities. Throughout the years, his research has focused not only on psychologys association with theater, but also on theoretical issues of psychology of self and identity. His current research interests also include problems of substance abuse and other excessive appetites. Julie Glickman 04, events assistant for the Center for the Arts, took two of Scheibes classes. Scheibe was also her academic advisor while she was pursuing her degree in psychology. Psychology master’s student Justin Freiberg says Scheibe creates a structure in his class that makes the students feel safe enough to share openly, and to be spontaneous. In addition to teaching courses at Wesleyan, Scheibe taught two-week graduate-level classes at an English-speaking DUXX Graduate School of Business Leadership in Monterrey, Mexico during the entire seven-year existence of the program. He also had two Fulbright appointments at the Catholic University of Sao Paulo, the first in 1972, the second in 1984. He taught these in Portuguese. Upon retiring, Scheibe has plenty to keep him busy. Currently a part-time clinical psychologist, Scheibe will continue to practice at his business in Old Saybrook. Hell focus the bulk of his time as the director of the new Wasch Center for Retired Faculty. This new center, slated to open on Lawn Avenue in fall 2005 creates a shared intellectual and social community where retired faculty members can continue their scholarly activities and participation in university life. Here, Scheibe hopes to complete another book, which is well underway. As a retired faculty member, I and others, need a place to go to think and write and read. And, when I am retired, theyre probably going to want to give my office to someone else and I will need a place to put all these books, a smiling Scheibe says, peering up at hundreds of hard cover books, files and notebooks. Ruth Striegel-Moore, professor of psychology and chair of the Psychology Department, says her colleague will be missed by other faculty members and students alike. Scheibe says he will miss teaching and that it never became mundane. The students, he says, keep class motivating. A comedy and theater performance, honoring retiring Psychology Professor Karl Scheibe, is scheduled at 9 p.m. April 22 in the Center for Fine Art Theater. Out of My Head: Performing Minds is a revue constructed and performed by four Wesleyan graduatesCatie Lazarus (98), Wendy Spero (99), Katie Buck (99) and Adam Koppel (02). All were students of the Psychology Department and all are actively involved in comedy and theater. Scheibe is retiring after 42 years of service on the Wesleyan faculty. Tickets cost $3-$4. 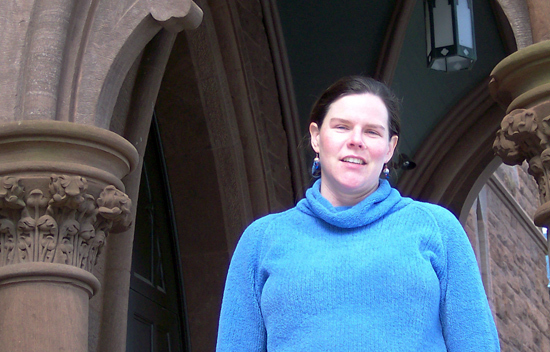 Mary Alice Haddad, assistant professor of government and East Asian studies, came to Wesleyan in June 2004. Mary Alice Haddad joined the faculty in the Government Department and East Asian Studies Program as an assistant professor in June 2004. Haddad, a native of Washington, D.C., completed her undergraduate work at Amherst College and earned a Ph.D at the University of Washington in Seattle. Her dissertation, “Creating Citizens: Volunteers and Civil Society, Japan in Comparative Perspective, was about civil society in Japan. Her primary area of research is comparative civil society, with a focus on Japan. I am especially interested in traditional organizations like neighborhood associations and volunteer fire departments that have largely been overlooked by other scholars, she says. Haddad taught Japanese politics this past fall and is developing a course in Chinese politics that she expects to teach in 2006. Her current research includes an examination of the ways traditional Japanese civic organizations such as neighborhood associations, which were instruments of social control used by the fascist state to manipulate the people, have become institutions of democratic accountability now used by citizens to lobby the government. Haddad said she is very committed to liberal arts education, and thats among the reasons she came to Wesleyan. I was also attracted to the ways that Wesleyan promotes both teaching and scholarship among its faculty, without privileging one over the other, she says. Haddad lives in Middletown with her husband Rami. She enjoys sports, outdoor activities and pottery. Her first child is due May 3. May 3rd is the last day of class, so people can see me waddle around campus this semester as I grow increasingly round, she says.